Excessive moisture, dryness, and extremes in temperature are major enemies of a musical instrument that can cause damage and can also affect your performance. 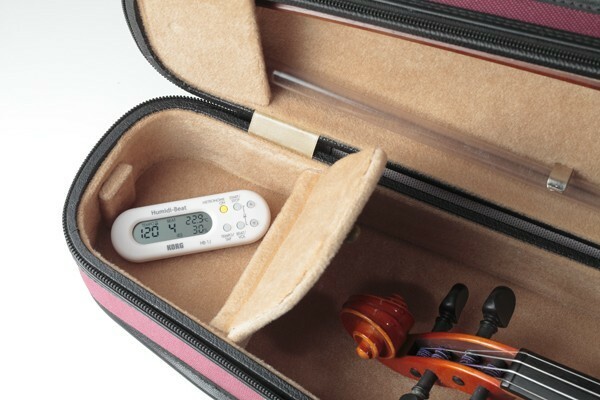 The first step in keeping your instrument in good condition is to be aware of the temperature and humidity in its storage location. 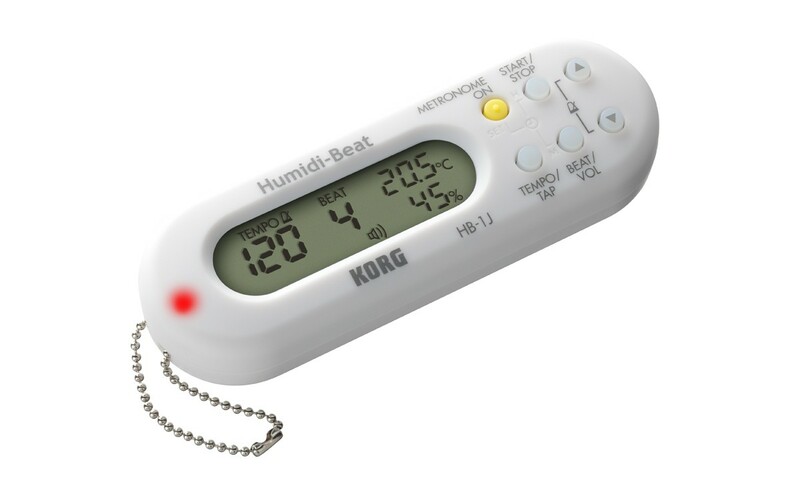 The Humidi-Beat contains a thermometer and hygrometer, allowing you to check these vital statistics at any time. 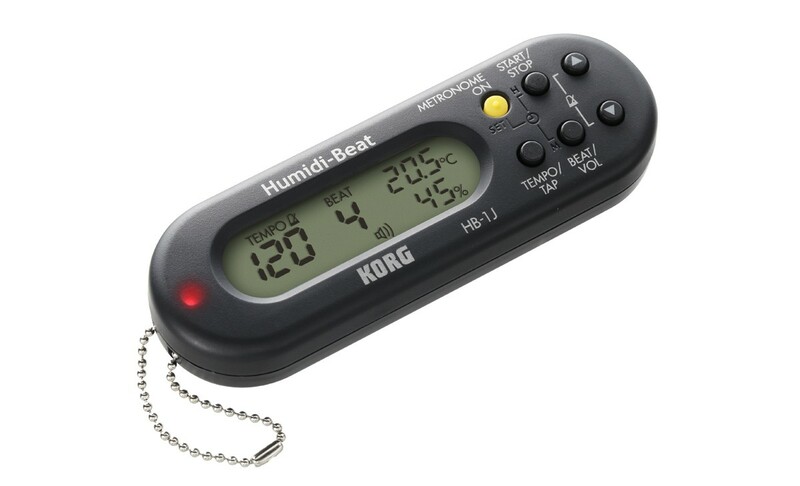 The temperature and humidity are checked at ten-second intervals*, and a warning Lo/Hi indication is displayed if the humidity falls outside the range of 40–60% considered ideal for a musical instrument. 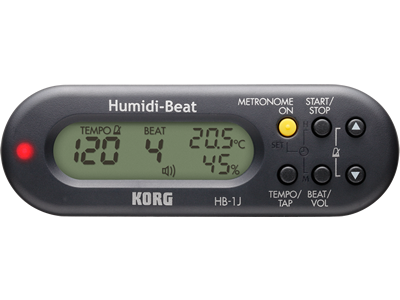 The Humidi-Beat is extremely compact, so you can leave it in your instrument’s case, or attach it to the outside of the case, ensuring that you’ll always be aware of your instrument’s environment. The tempo can be set in either of three ways: you can use “Pendulum Step” which lets you increase or decrease the tempo in the same steps found on a mechanical metronome; “Full Step” lets you increment or decrease the tempo in single BPM steps from 30-252; the tempo can also be set by pressing the “Tap Tempo” button at the desired tempo. In the Loud position, the Humidi-Beat’s audio metronome produces a powerful tone that won’t be lost in the ambient sound. The Soft setting is ideal for private practice. 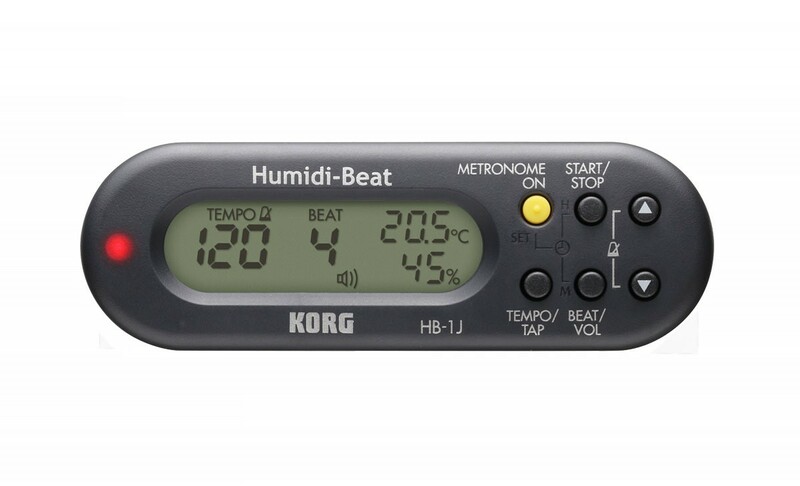 In addition, the tempo is indicated by a blinking red light; and the current Beat number is shown in the display. 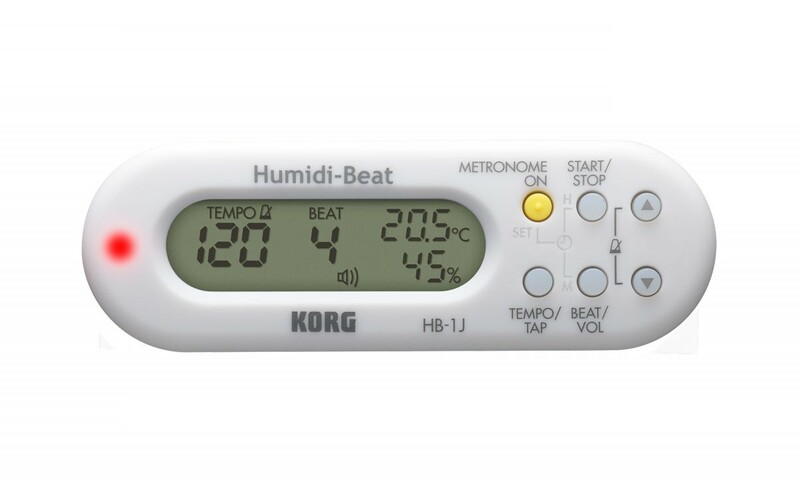 Muting the metronome allows the Humidi-Beat to be used with only the visual indicators.